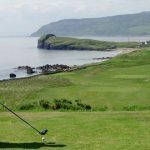 Golfers from across Argyll and beyond competed in Dunaverty Golf Club’s annual Gary Thomas Memorial Open Texas Scramble. The Thomas family started the competition in memory of Gary who died suddenly in September 2011 when he was vice captain of the club. 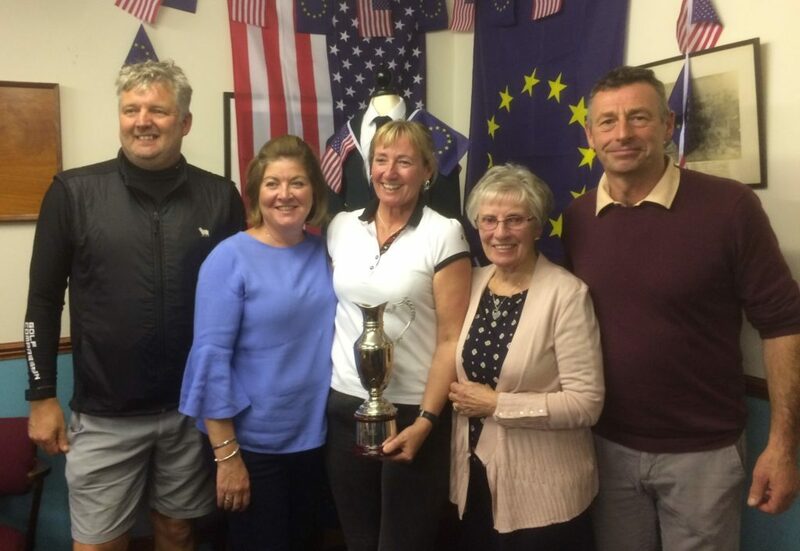 Every year since, his family and friends have supported the golf club by providing prizes and sponsorship for the annual event in Gary’s memory. The early starts had a light shower, but from mid morning the clouds cleared leaving clear skies with a light westerly breeze. With a full ballot sheet of 50 teams, the course and clubhouse had a constant flow of golfers, friends and family, all enjoying the atmosphere of the day. 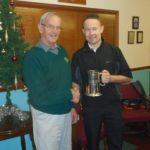 At the evening presentation, in a packed clubhouse, Captain John Marrison thanked the Thomas family and friends for their continued support of the event, he also thanked the green keepers, David and Robert, for having the course in pristine condition, as always, and also to Will, the club steward, who kept everyone fed and watered throughout the day. Results: 1 G. Tyre, S. Tyre & D. Lamont : 55-2.1=52.9; 2 R. Singleton, K. Whitfield & C. Muirhead : 56-2.7=53.3; 3 J.Robertson, J. Campbell & C Ramsay : 57-2.9=54.1; 4 C. McCallum, D. Watson III & D. Brown : 58-3.2=54.8. 7th NTP: John Lamont 2.76m; 10th NTP: Jamie Robertson 2.76m; 14th NTP: Grant Edmondson 1.11m; 15th NTP in two: Robbie McIntosh 5.02m; 16th NTP: Stuart Campbell 0.165m; 17th gents longest drive Craig Ramsay; 17th ladies longest drive: Lindsay Ramsay.